Science means “knowledge” in Latin (scientia), with modern definitions focused on obtaining this scientia through systematic observation and experimentation to learn about the natural world. This stems from a basic misunderstanding of how science works and what we can do with this knowledge. Mistrust may arise from poor education, media sensationalism, or stigma. As an educator myself, I have been shocked by students claiming that they don’t like biology because it is not hands-on. This grossly inaccurate perception is due to a lack of experience actually doing science, a consequence of focusing on testing memorized facts rather than on the development of critical thinking skills. Many other students (and adults) state that while scientific topics are interesting, they just can’t think like scientists. I remind them that children display an innate scientific mind by constantly observing, manipulating, and testing their deductions to infer general principles that help them understand their surroundings. Sadly, this early application of the scientific method is often lost and many are scared away from the sciences. But the public’s understanding of science can be greatly improved. One way to do this is by including people in the quest for scientia as citizen scientists. Citizen science—the involvement of interested members of the public in collecting and/or analyzing data for scientific projects—is not a recent phenomenon. Bird watchers have formally contributed avian observations to the annual Christmas Bird Count since 1900, five years before the United States’ National Audubon Society was even officially founded, and the Cornell Lab of Ornithology currently receives an average of 1.6 million bird reports per month through its eBird web tool. I have also been involved with citizen science for more than 20 years, working with Earthwatch Institute-funded projects to involve volunteers in investigating human impacts on marine mammals. This rich history of citizen science is now being enhanced considerably. 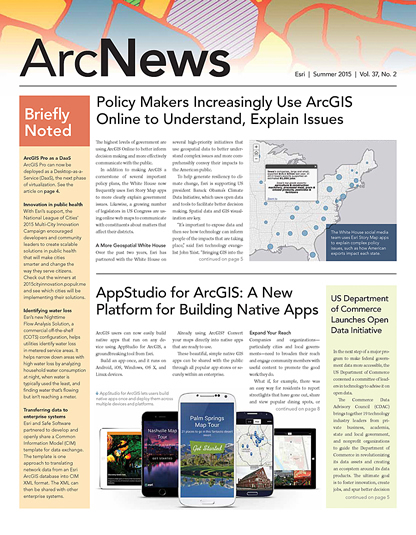 The widespread availability of mobile devices has enabled the development of apps that can easily include the public in generating important data to monitor populations, climate, and other natural phenomena. Not only can this improve the public’s understanding of both scientific concepts and methodology, but it can also directly benefit researchers whose monitoring projects—which are essential for conservation—are often made more difficult by lack of funding and increased expectations. 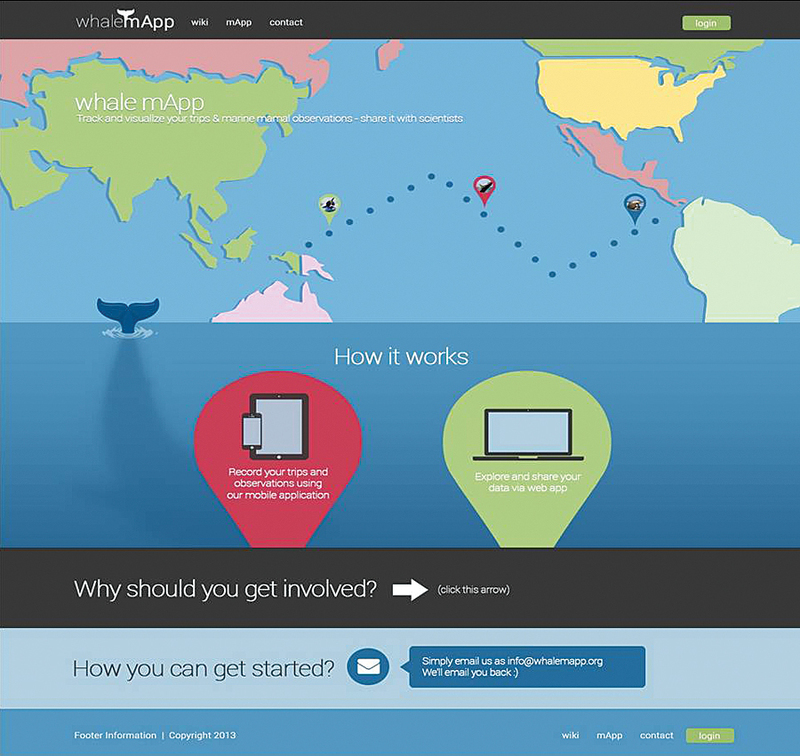 Whale mAPP allows anyone equipped with a GPS-enabled Android device to submit sightings of marine mammals to Whale mAPP’s website, whalemapp.org, and share their observations via an online geodatabase that is freely accessible to researchers and the public. The website displays the sightings in an interactive map along with photos, video clips, graphics, and educational details on different species and conservation efforts. 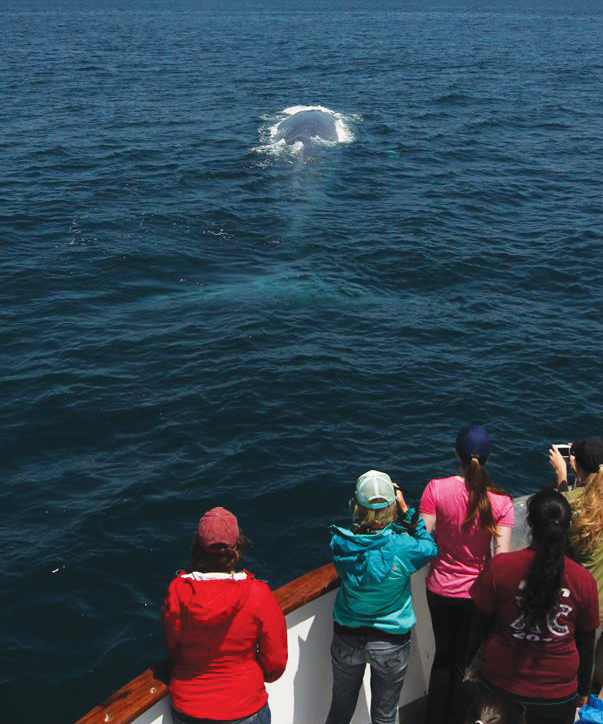 In the classroom, students can further utilize GIS to view marine mammal sightings and locations, formulate hypotheses, and then test their conjectures using the collected data. This develops the students’ scientific inquiry, spatial reasoning, and critical thinking skills while increasing their knowledge of the natural world.